Carrying out a garden renovation project can really enhance your enjoyment of your home, as well as adding value to the property. But, when your garden is full of overgrown shrubs and tangled roots, clearing it can seem like a huge task! Here at Fair Oaks Tree Services, we offer a full garden clearance service to remove, recycle or cut back all sorts of trees, shrubs, roots and other unruly plant life to help you achieve an orderly and attractive garden space, or perhaps even make room for a new feature, such as a building or garden structure. If you’ve decided that it’s time to take your garden’s design to the next level with beautiful landscaping, it’s often best to have a blank canvas. It is much easier to landscape a garden that is completely clear, so the Fair Oaks Tree Services team can take up existing paving, turfing or nuisance shrubs to make room for the new design. If you want to reuse the materials we clear, we will remove them with care so that, where possible, they stay intact. 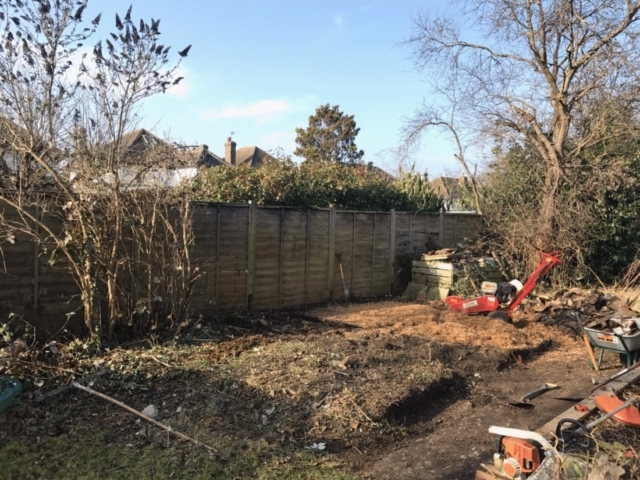 Of course, once your garden has been fully cleared, we can also help with the landscaping side of your project, whether that means planting new trees, laying paving, building shed bases, creating some type of structural fixture, or doing maintenance like hedge trimming. Sometimes it’s necessary to completely clear a garden or outdoor space of any hedges, green debris, paving or plant life, so that a new building can be developed. Perhaps you’re constructing a new commercial property, for example, or adding an extension to your home. 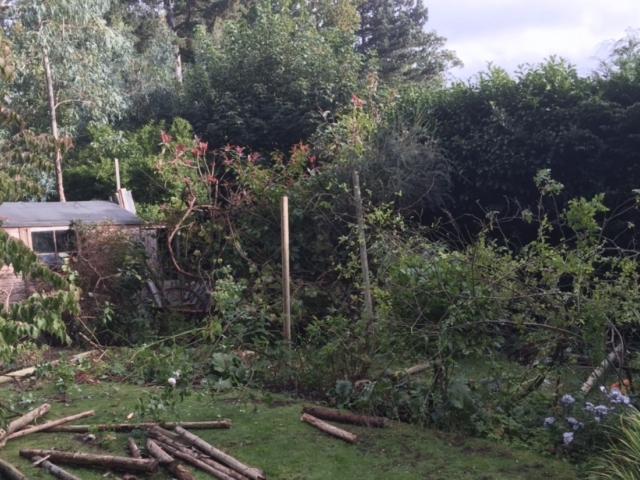 Whatever scale you’re working on, our thorough garden clearance service will ensure there’s nothing in the way when you start building. As expert arborists, we can make sure there’s no risk of tree roots encroaching on and damaging your new property in the future. 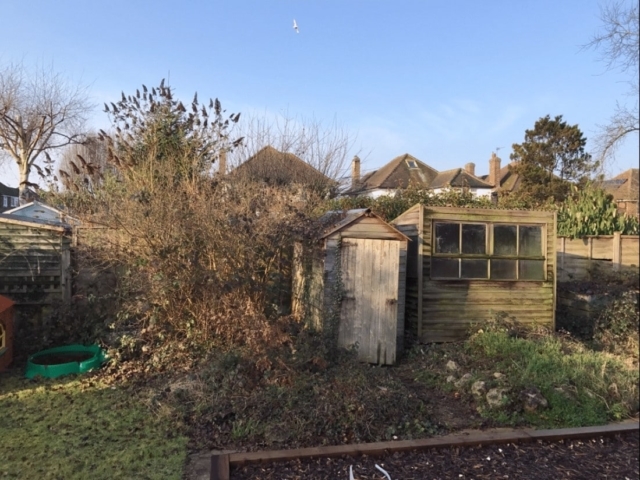 Our garden clearance service is also ideal for homeowners who want to rent out their property, and who need to make sure their garden meets the standards of the letting agent. This might mean simply pulling up overgrown shrubs and tangled roots, or it could involve more expert services like removing nuisance tree stumps. Whatever you need, you can rest assured that we’ll recycle your green waste and garden debris quickly and efficiently, so that you can attract potential tenants with a beautiful, safe garden that is free from obstructions. 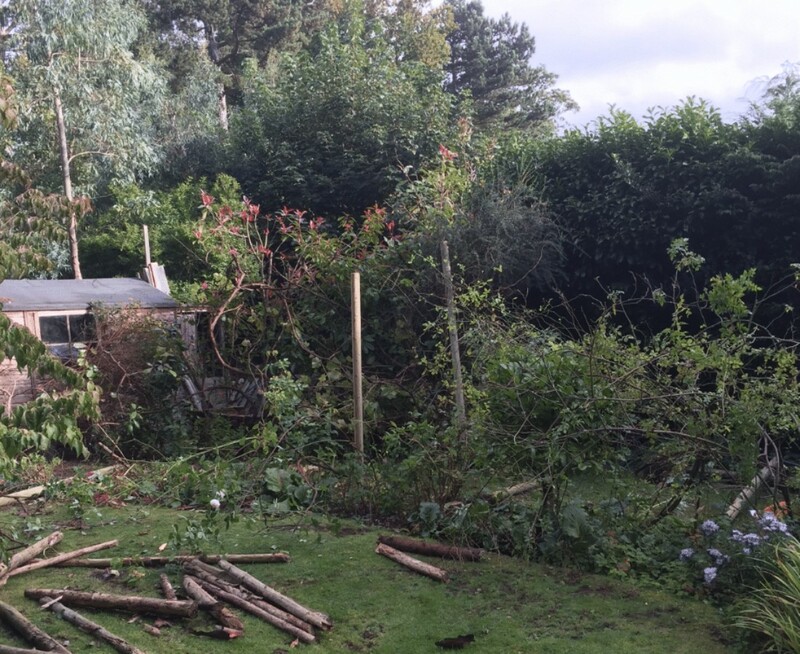 If you require garden clearance services for your property in South London, Surrey or a surrounding area, contact our NPTC-qualified arborists at Fair Oaks Tree Services today. All our work comes with £5m public liability insurance, so you can rest assured your garden is in good hands!